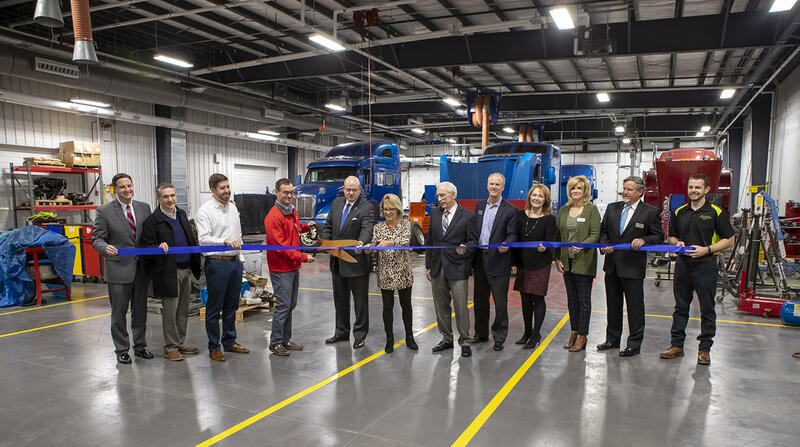 A new space at Ozarks Technical Community College will prepare students to work in the trucking and manufacturing industries. OTC held a grand opening for the 12,500-square-foot MHC Diesel Technician Training Center Monday morning. It’s an addition to the college’s original diesel training facility in the Industry and Transportation Technology Center. Students in the program can earn either a one-year certificate or a two-year associate degree. Currently, around 35 students graduate from the program each year, and OTC officials hope to double that number with the new space. The capital project was made possible through a $1 million matching grant from the U.S. Department of Commerce’s Economic Development Administration. The rest of the money was raised primarily through private donors, including the center’s naming sponsor, Murphy-Hoffman Company. More than 100 students are enrolled in the MHC Diesel Technician Training Center, which opened for classes earlier this month.